Belarus, for its part, is also trying to diversify its international relations. The country is currently marketing itself as a regional tech hub, spurred on by firms such as Viber and World of Tanks and favorable tax bills for fostering the growth and arrival of more tech firms. In addition, in a bid to expand tourism, Belarus established a 30-day visa free travel policy with 73 countries eligible, including all 28 EU member states. [x] (The EU is Belarus’ second main trading partner after Russia). [xi] Finally, Belarus has sought to warm up to China through measures such as hosting top Chinese officials (most recently the Chinese defense minister in April 2018) and encouraging Belorussian agricultural exports to China. [xii] The effectiveness of these efforts, however, are yet to be seen, and despite this diversification both the government and economy continue to remain reliant on Russia. Ultimately, Russia’s creation of a working group is merely an intimidation tactic, serving as a warning to Belarus. Neither Russia nor Belarus want full unity; rather, Russia prefers to keep Belarus within its sphere of influence and to act as a buffer against Western Europe and NATO. For Russia, unity would mean further economic burdens on a country that already struggles with western sanctions, an over-reliance on oil, and its own difficulties in administering pensions and social services. For Belarus, unity would mean further dissatisfaction with the government and a possible loss of power for a president who has ruled Belarus since 1994. The message for Belarus is clear: either stray too close and face gradually-eroding autonomy, or stray too far from Russia and lose an integral part of the Belorussian economy. For Lukashenko, no option is ideal –as a result, he is forced into a balancing act between the interests of Russia and the interests of the Belarussian state. Russia is merely taking advantage of this fundamental weakness. By pushing for de facto unification, Russia can receive the benefits of a more integrated Belarus at a fraction of the cost while still appealing to the majority of the independence-minded Belorussian populace. [i] TUT.BY. “Медведев подписал документ о создании российско-белорусской группы по спорным вопросам.” TUT.BY. December 28, 2018. https://news.tut.by/economics/620953.html (accessed December 31, 2018). [ii] TACC. “Песков: речи об объединении России и Беларуси в одно государство не идет.” TUT.BY. December 29, 2018. https://news.tut.by/economics/621018.html (accessed December 31, 2018). [iii] Sharipzhan, Merhat. “Lukashenka Says Belarus Will Never Be Part Of Russia.” December 14, 2018. Radio Free Europe/Radio Liberty. https://www.rferl.org/a/lukashenka-says-belarus-will-never-be-part-of-russia/29656460.html (accessed December 31, 2018). [iv] “Belarus-Russia: Trade and economic cooperation.” BelTA. June 19, 2018. https://eng.belta.by/infographica/view/belarus-russia-trade-and-economic-cooperation-3642/ (accessed December 31, 2018). [vi] Nechepurenko, Ivan. “Russia-West Balancing Act Grows Ever More Wobbly in Belarus.” New York Times. August 13, 2017. https://www.nytimes.com/2017/08/13/world/europe/belarus-russia-aleksandr-lukashenko.html (accessed December 31, 2018). [vii] Mirovalev, Mansur. “Dam leaves Crimea population in chronic water shortage.” Al Jazeera. Jan 4, 2017. https://www.aljazeera.com/indepth/features/2016/12/dam-leaves-crimea-population-chronic-water-shortage-161229092648659.html (accessed December 31, 2018). [viii] TUT.BY. “Опрос: 65% белорусов за союз с Россией, 19% — за вступление в Евросоюз.” TUT.BY. February 21, 2017. https://news.tut.by/economics/532361.html (accessed December 31, 2018). [x] Mirovalev, Mansur. “Inside Belarus as Europe’s last dictatorship struggles to restyle itself as a Silicon Valley rival.” Wired. September 11, 2018. https://www.wired.co.uk/article/belarus-startups-hub-digital-decree (accessed December 31, 2018). [xi] “Belarus.” European Commission. http://ec.europa.eu/trade/policy/countries-and-regions/countries/belarus/ (accessed December 31, 2018). [xii] Bohdan, Siarhei. “Belarus: an unwanted friend of ‘Great China’?” Belarus Digest. April 4, 2018. https://belarusdigest.com/story/belarus-an-unwanted-friend-of-great-china/ (accessed December 31, 2018). 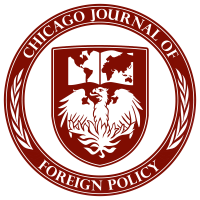 Previous: Previous post: CJFP’s Winter 2019 Edition!